On 3 January 2018, MiFID II will finally come into effect. 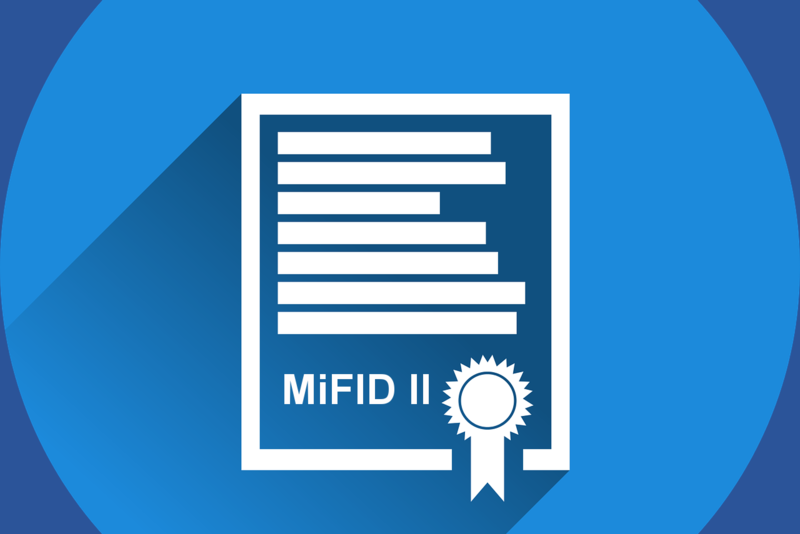 Ushering in a significant change to the original MiFID directive of 2004, which sought to protect consumers and promote best practice and greater transparency within the cash equity market; MiFID II expands the law to include all asset classes and everyone engaged with dealing and processing financial instruments. While MiFID is a European directive, all buy-side firms will be affected by the changes. If you wish to deal with European financial markets, then you must adhere to the guidelines or face the penalties. Therefore, it’s important firms take adoption seriously and are prepared well ahead of the deadline. The New Year will bring about a sea change in financial compliance regulations; make sure you’re not one of those out to sea when it happens. So, what do these changes mean for buy-side firms that allow Twitter on their trading floors? Well, the biggest change is that under MiFID II they will be required to publish execution reports across multiple asset classes. This will require them to record, document and publish the evidence of data used for individual trades, but also the decision-making process that led the trader to execute at that time, with that counterparty, on that venue, at that price. If information and data gathered from Twitter sources has played a part in the decision-making process, it would be prudent to disclose this in these reports. We allow Twitter, what are the risks? If your traders and analysts have access to Twitter at work and are using it for news sources, to identify trading opportunities or inform their trading decisions, then it’s important that this information is captured for MiFID II compliance. While Twitter lacks any kind of reporting functions over engagement and Tweet analytics, EarlyBird offers MiFID-ready Twitter-monitoring tools. These tools enable compliance teams to not only see which Tweets have been read by traders but also collate this information into activity reports. Every Tweet read by a user in EarlyBird is recorded and time stamped. Why is this information so useful? Well, if a trade goes horribly wrong and regulators are called in to investigate, compliance can see instantly if and how information on Twitter has played a part in the decision-making process. As such, this data can prove invaluable for MiFID II. We block Twitter, so no risks, right? Well, that’s not entirely true. If your traders and analysts aren’t using Twitter, then it raises a much bigger concern: why not? Findings have revealed that social media leads the news wires by up to 12 minutes, while academic research shows that if you follow advice from the right sources on Twitter, it can give you a competitive edge in FX markets. Therefore, blocking access to Twitter on trading and research desks can put you at a huge disadvantage commercially. Moreover, Twitter is not only useful for seeking alpha, but protecting it too. If the CEO of an equity in your portfolio posts a Tweet that impacts the share value of his company, and you miss it because it wasn’t picked up by the mainstream press, questions could be asked as to why it wasn’t spotted. Not having Twitter access may not cut it. Twitter is in the public domain, and is becoming ever more relevant for keeping on top of current affairs and breaking financial news. If you’re not providing, recording and including Twitter information, then you may not have all the market data and may not be meeting your best execution requirements. If you’re not leveraging Twitter for best execution, or feel you are but have concerns that you could be exposed to changes in MiFID II regulations next year, speak to us today. Our friendly team will be happy to answer any questions you have, and demonstrate why EarlyBird is best in class for financial service Twitter providers.